The (Parenthetical) is an online magazine that was founded in 2010 by Writopia Lab and that publishes and celebrates the completed, polished works of Writopia Lab writers from across the country. We expanded in 2015 with the launch of our online magazine, THE ELLIPSIS for writers ages 12-19 and by re-launching The (Parenthetical), which is now a platform for writers ages 6-11. We seek to nurture the next generation of writers by creating a forum where they can not only see and share their published work, but also track their growth and encourage conversation and feedback. Check out writopialab.org/snow for snow-poetry, snow-stories, snow-horror, and snow-snark for all ages, all written on January 4th, 2018 during the “Bomb Cyclone” that hit the Eastern Seaboard! 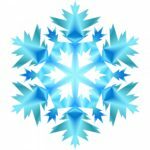 Congratulations to the writers, ages 3-20, who spent their day developing these especially reflective, poetic, and sometimes quite dramatic and hysterical wintry pieces. Please note that we do not censor content; instead we mention on top of each piece if we feel there is violent or mature scenes or language. "Before we / Before us / Before we were alive, / This was a world"
"A root has a code / And a book has a cover / We all have our covers / And our very own codes"
THE WRITER WAS ABOUT TO DIE!!! "Hazel Hollyblade awoke with a start. Someone was knocking on the door of her little house beside the colorful Delesquari Fields next to the ocean." "Jump around with joy / Be crazy when people say 'oh boy'"
"'Being on the verge of death.' There’s a saying like that around town. How great it feels to be like that." "I am a penny. I can have different designs, like monuments and shields. Abraham Lincoln is on my head side, and I was born in 2018." "Hi, I’m Sunny! I’m six months old! I’m a polar bear, if you’re wondering. I live in Antarctica." "If you say please, I will give you some cheese / And five chimpanzees will tickle your knees"
"One day, Corn Nut the Chipmunk decides to buy a bag of corn nuts. Corn Nut is small, feisty, and loves corn nuts." "The jungles of South Asia are noisy, warm and dark; / Then titan longhorn beetles stand up and chirp the dawn,"
"A person that is crazy / Under sand / The name of this person is purple"
"When / You Eat A Lollipop / Your fingers are so sticky"
"I have a secret. I have a fake name because my real name is really long, and the reason is very embarrassing. My fake name is Amelie." "For a developed country, American schools -- higher-tier ones included -- are surprisingly lacking in many different categories, from student admissions to their ineffectual 'learning' processes that make it largely ineffective." "Most of the United States has heard about the recent tensions with North Korea on the subject of missiles. Most recently the meeting between the American president and the dictator of North Korea."